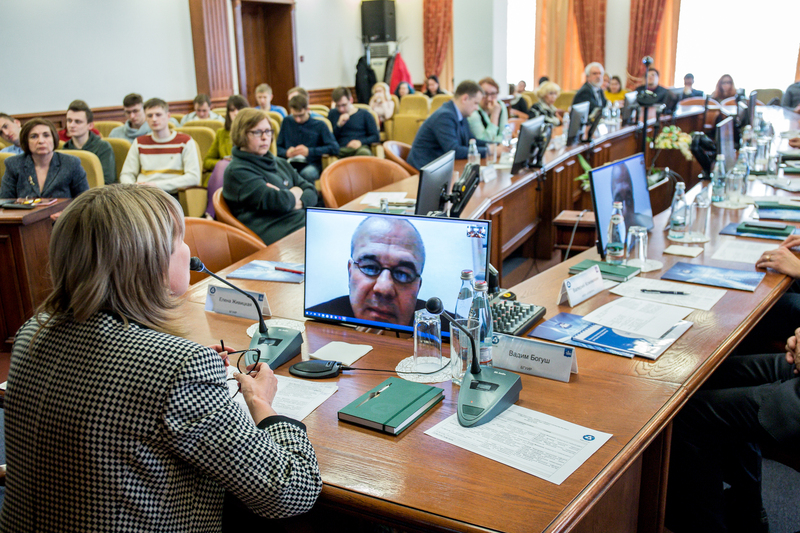 On April 10,2019 a panel discussion on “Nuclear power – the driver for sustainable development of the scientific and educational cluster of the country” was held in Belorussian State University of Informatics and Radioelectronics (BSUIR). 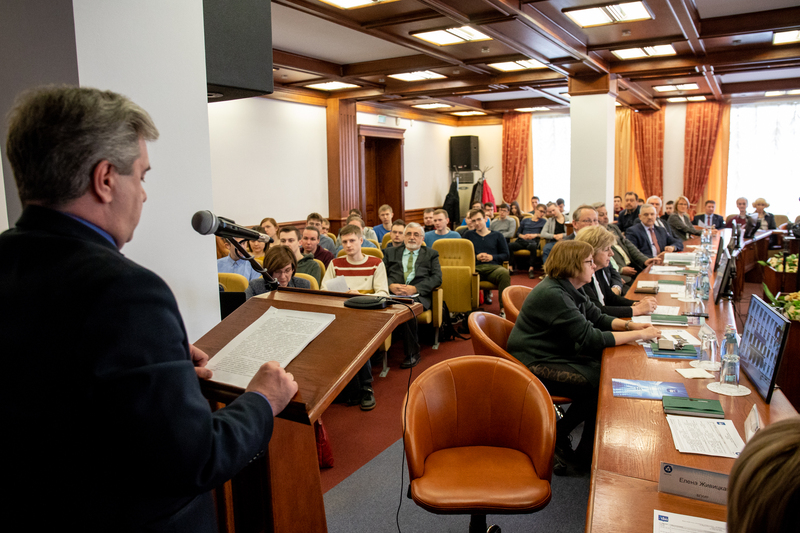 The meeting was attended by experts from the Ministry of Energy, the Regulatory body, the Directorate of the nuclear power plant, representatives of Belarusian universities and research and production enterprises. 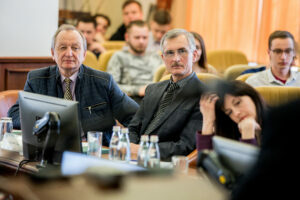 During the event, experts considered the issues of improving the quality of education and training, networking of universities and the development of international cooperation in the field of training for the nuclear industry, as well as the development of basic and applied science in the field of nuclear engineering and technology in Belarus. 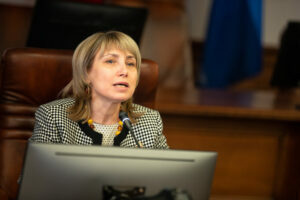 Opening the event, the moderator of the round table, Helena Zhivitskaya, Vice-Rector of BSUIR, noted that the development of nuclear energy not only ensures the energy security of Belarus, but also contributes to the development of new technologies, science, industry, medicine, and innovative agriculture. All this is followed by development of electronics and information and communication technologies and demands new highly qualified personnel and creation of the new innovative enterprises that, in turn, creates working places in economy and stimulates development and deployment of new approaches in training and development of education. The nuclear power in Belarus becomes a driver of economy, acting as the engine of technological development of the country. 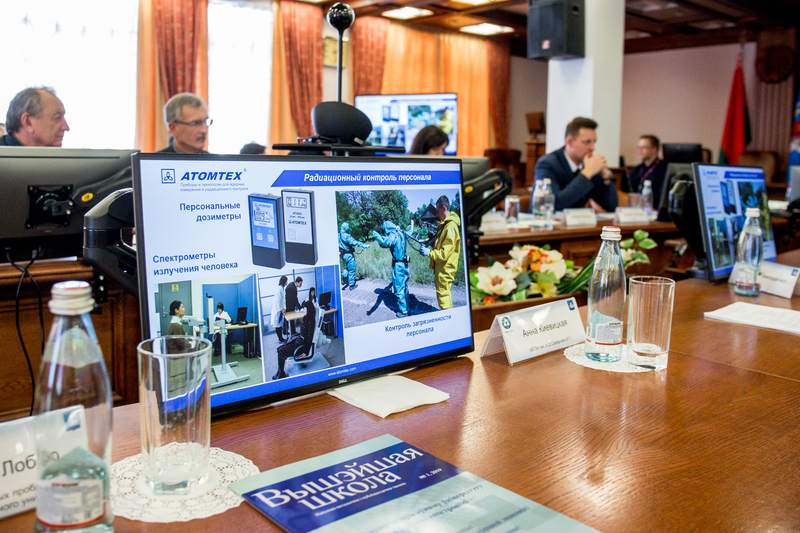 In 2008 in Belarus the State program of education and training for nuclear power for 2008-2020 was established. Within the framework of this program the institutions of higher education are developing specialists in new for our country specialties in the field of nuclear energy. “The task connected with training actually became the catalyst in order that in an education system came to new forms of interaction too and realized that they rather effectively work at practice. These are the things, first of all, connected with development of network interaction. For an education system this rather new phenomenon. Thanks to need to solve problems of training for work on nuclear power plant all mechanisms were developed that demanded a lot of work – to find partners in the Russian Federation, to organize internships at the operating NPPs, to interact with the Belarusin NPP which is under construction. 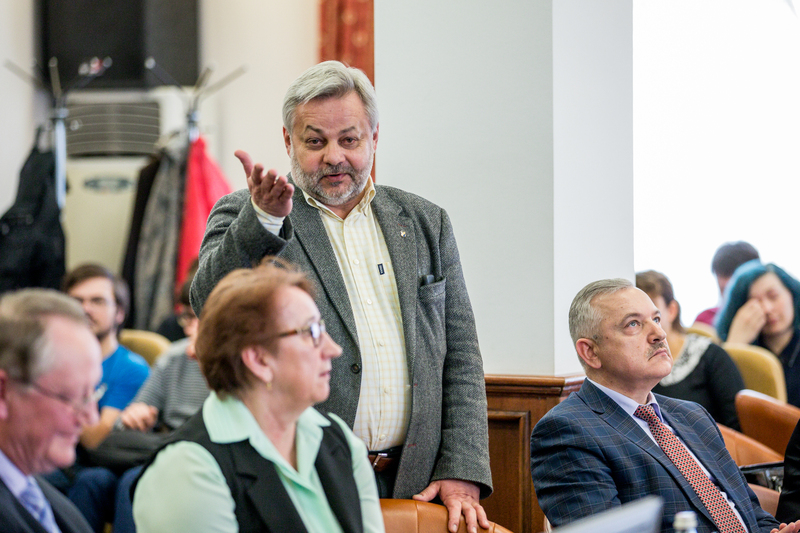 We can tell with confidence that this task is successfully solved”, – the rector of the BGUIR Vadim Bogush noted. 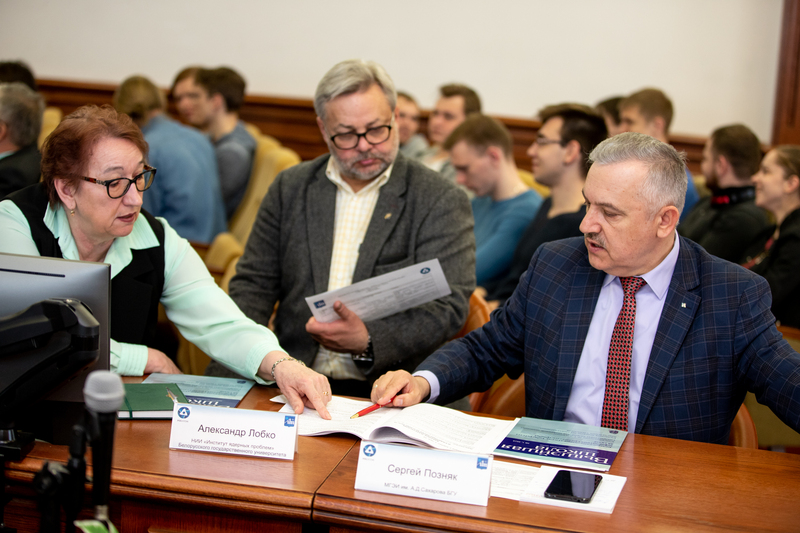 IAEA makes a valuable contribution to development of reactor simulators and technical means which allow to gain the necessary knowledge and in practice to fulfill necessary skills, the rector paid attention. He also mentioned that the new scientific perspective appears in many aspects of modern physics, medicine, ecology. 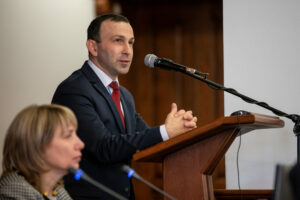 “That step which we take now is aimed at formation of the domestic school specialized on these or those directions connected with use of energy or with studying of interaction of substance with different types of radiation and radiation and, respectively, on receiving fundamental and applied resources”, – Vadim Bogush told. During the meeting the vice rector Helena Zhivitskaya in detail presented The Regional Network for Education and Training in Nuclear Technology (STAR-NET) which unites 14 universities from 7 countries – Armenia, Azerbaijan, Belarus, Kazakhstan, Poland, Russia and Ukraine. The head of design office “Transfer of nuclear education” of the Technical Academy of Rosatom (Moscow) Ilya Filipyev and the deputy executive director of Scientific and Technological Center of Safety of Nuclear Technologies (Kazakhstan) Alexander Klepikov shared the experience in the area with the Belarusian colleagues. 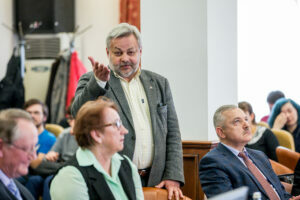 The participants also discussed the establishment of the center for nuclear science and technology in Belarus, the practice of applying and implementing innovative ideas, advanced scientific technologies in the country’s economy, opportunities for the development of international trade and other important topics. 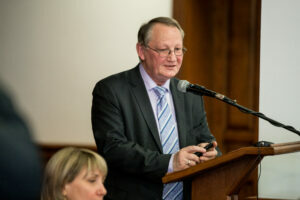 The event was organized by the Ministry of Energy and BSUIR with the support of the “Rosatom Eastern Europe”.